The world of Austea has changed since a party of adventurers saved Orinthal from the sinister Whispered Ones. The future seems bright, as people revel in a world rebuilding from the cataclysm. Magic is common and new technology solves old problems. As the mundane business of making a living absorbs the attention of most, calls to adventure are seldom heard. Yet, clerics and paladins find their magic weakened. And there is a chilling rumor that a powerful deity has died or, at least, vanished. DnD RAW is a party of friends who mostly follow rules as written (RAW) for Dungeons & Dragons 5th Edition with unearthed arcana material. We have two diverse parties in our actual play podcast, Serviceable Plots and Rumble Squad, who deliver compelling storytelling with laughs along on the way. 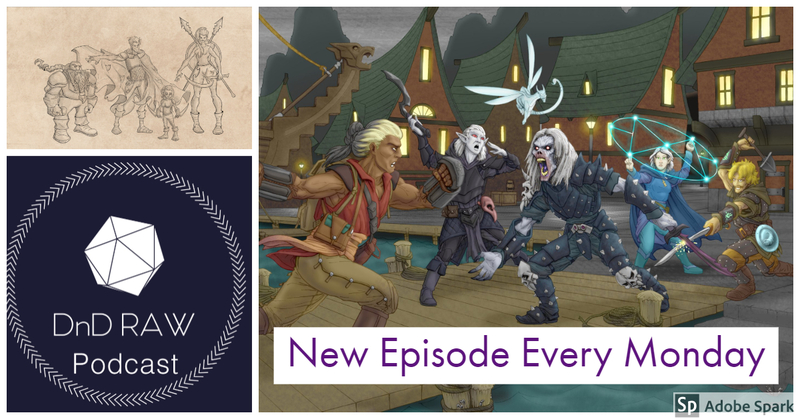 On our second show, Rules As Written, we are joined by some of our favorite podcasters as we debate and discuss rules of fifth edition in our endless quest to push the game to its limits. Have some free time? Why not listen to our latest episode!